I've never been much of a collector, until I met my husband. From our first date, I began to save everything. We have an ever-expanding box of ticket stubs, brochures, receipts and memorabilia. When I began to think that this might be it, I wanted to find a special way to mark our relationship, a tradition for the two of us that we could either pass on or keep for the two of us. Since both of us are hopelessly afflicted with wanderlust, it made sense that we start collecting items from our travels. For a while, we did magnets, but then it dawned on me from our first Christmas together that perhaps ornaments were the way to go. 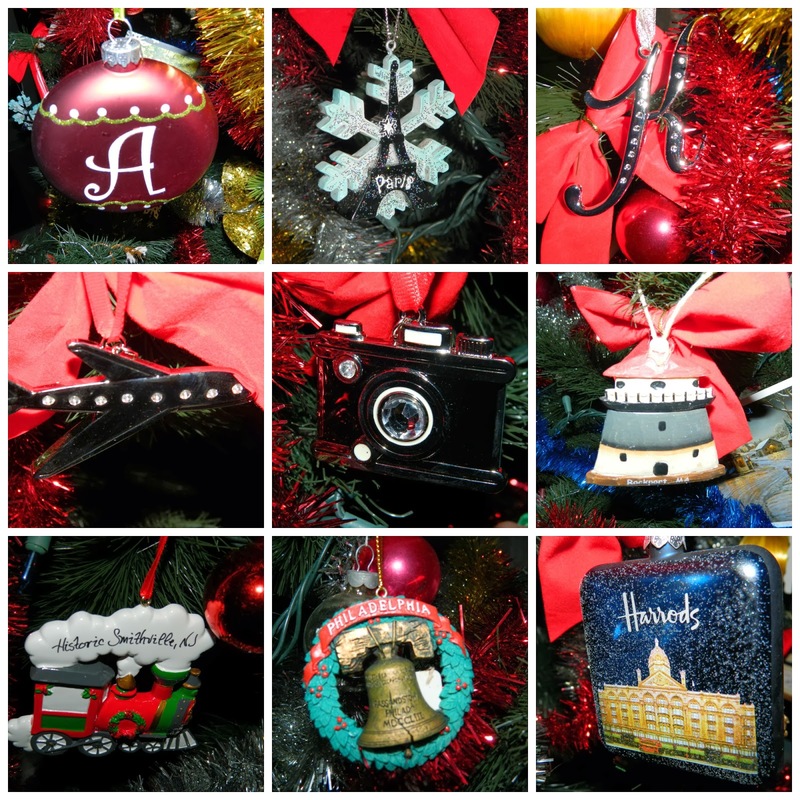 Now, I take on the challenge to find an ornament for our tree representative of the places we visit, or ornaments symbolic of where we are, or things we like. What's it like in your family? 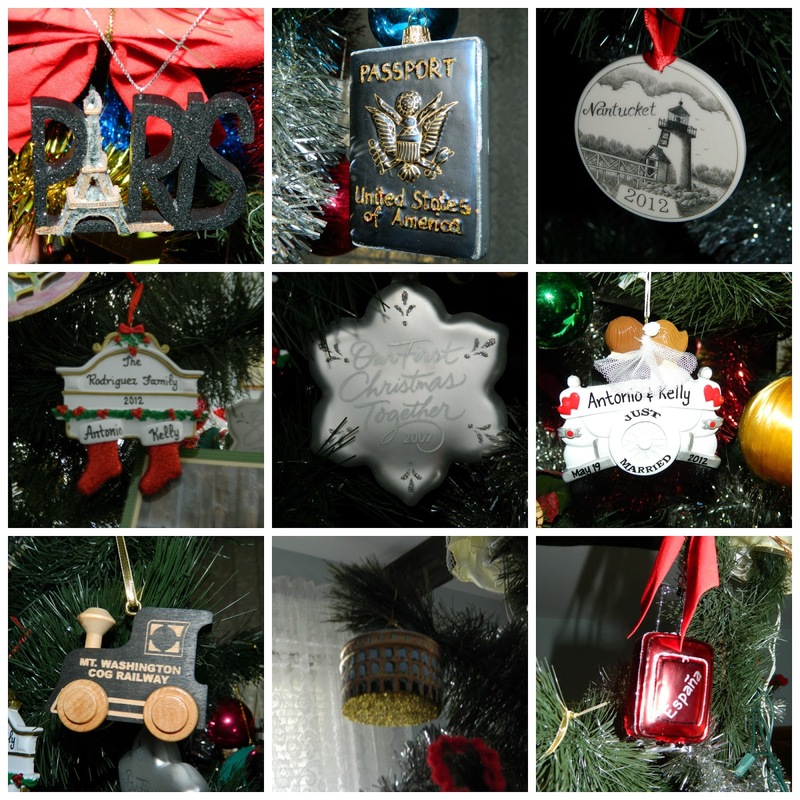 How do you personalize the holidays? Are you a collector? Inspire me. this is lovely. what a great way to celebrate your marriage over the holidays! Thank so much! I love the conversation that happens when we trim the tree...the remember whens. :-) Thanks so much for stopping by. Happy holidays! My boyfriend and I also collect Christmas ornaments from our travels. It is such a fun way to save the memories! Hi Kate~I love our ornaments. It really is a great way to save memories. And if you have someone to pass them on to, it provides a treasure of memories for the next generation. Merry Christmas!